Have you ever been talking to an online crush and found it difficult to take your flirtationship from digital to IRL? If so, we have good news for you! 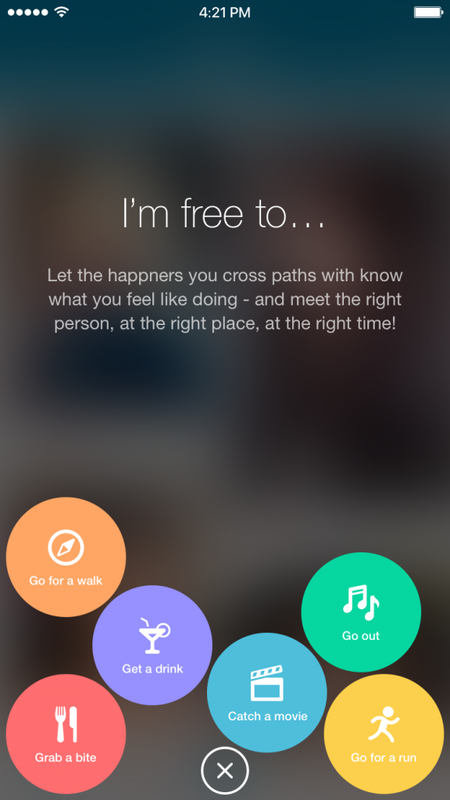 One of our favorite apps, Happn may have just solved your problem. Just announced, Happn has launched a new feature called “See You There” that allows “happeners” to share on the app what activities they’re up for doing within a four-hour window, ranging from catching a movie, grabbing a bite to eat, or even going for a run. The roll out gets released to members on May 17th and we’ve got the scoop. Users who have previously crossed paths will see other users who are available to meet up and can take the opportunity to meet IRL, right here, right now. The new feature is easily accessed by tapping the (+) availability button on the bottom of the home screen, where users will be prompted to select an activity to display to other users in their timeline. “The new ‘See You There” feature is designed as a seamless integration to allow people to meet as they would on any given day – during regular daily activities – whether at a party, at work or the gym. 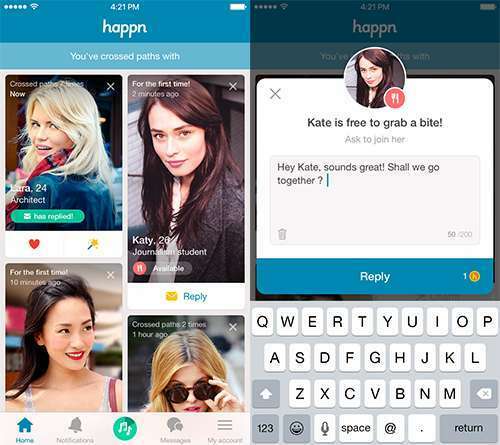 Happn reports they have more than 17 million users worldwide and they’ve been one of our favorites. Julie Spira is America’s Top Online Dating Expert and Mobile Dating Expert. She’s an Internationally known dating coach who has been helping singles find love online for over two decades with her Irresistible Dating Profiles programs. Need help with your Happn or mobile dating app? Find out how Swiping Right can help you find your dream date. Follow @JulieSpira on Twitter, Facebook, and Instagram and sign up for our Free Weekly Flirt newsletter.